Imagine it: You’re sitting at closing, preparing to sign your name on what seems like a million different dotted lines, your hands itching to hold the keys to your new home, when they ask you for proof of flood insurance. And your stomach drops to the floor. Did you know that if you have a mortgage on your home and your home is located in a floodplain that you are required to carry flood insurance? This can vary from $150 per year to $10,000 per year based on where you live. Not only can this come as a shock, but you are required by your lender to pay the first year up front at closing. It happened to some friends of ours just last year. They had picked out a beautiful retirement home, about to sign on the dotted line(s), when they discovered that not only was their home on a floodplain, but the flood insurance required would be another $100 per month. All because of the location of their home in relation to the floodplain. This meant the lender wanted an additional check for $1,200 right that second. Sigh. Did you also know that statistically speaking, over the life of your home loan you are 9% likely to experience a fire, 9% likely to have a home owners claim (of any type) but 25% likely to have a flood occur? You need to know your floodplain information, and BEFORE you put an offer (and earnest money down!) on a home – even if you don’t think that home will be at risk. An extra $50 or $100 per month, $200 per month or up to $800+ per month sure is a game changer, folks. The bad news: Your realtor won’t always know (or tell you) that the house you’re wanting is in a floodplain. The good news: It is easy to find this information all on your own, and for free. What is Flood Insurance, And Why Do You Need It? The need for flood insurance is dependent on whether or not your home is located in a Special Flood Hazard Area (SFHA), which is determined by various factors. In the mid-west they study watershed areas, where water flows and ponds to determine your risk. In coastal areas, flood risk can vary depending on elevation, the common high tide mark, as well as wave height and velocity. FEMA determines floodplain maps all across the United States, and just because your home is not located in a floodplain, that does not mean you are out of the water, so to speak. Floods can happen just about anywhere, and at any time. And just because your home is “protected” by a levy, that doesn’t necessarily mean you are safe. Katrina was a levy failure. Drastic comparison, yes, but true nonetheless. Up until 2012, flood policy holders received a subsidized rate in order to encourage more people to carry flood insurance policies. The more policies sold = less burden on tax payers. This shifts the burden from the tax payers to the individual property owners that choose to live (or build) in high risk flood areas. In a given year of ALL the flood insurance claims made in the United States, 25% come from people that hold that preferred risk policy. This means that 25% of ALL flood insurance claims come from those that do not live in a floodplain but have chosen to have this optional coverage. It is a small expense to protect what is quite possibly the largest investment of your life: Your home. 1. Call your Floodplain Manager. 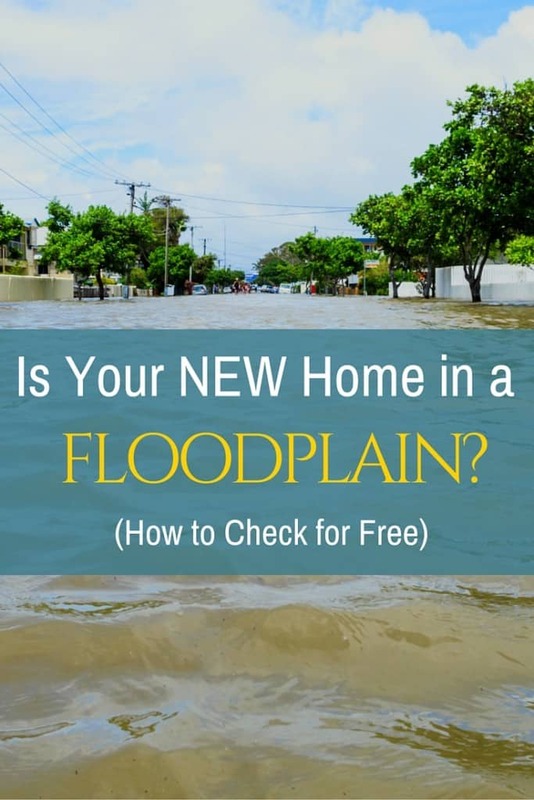 Any information pertaining to a community that is part of the National Flood Insurance Program (NFIP) must be provided at no cost, and having a Floodplain Manager is a requirement by the NFIP. As such, the fastest/best way to get information is by calling your community’s Floodplain Manager. This is typically an employee of the municipality in which you live (or are planning to purchase a home). They will have a wealth of information, possibly even memorized. 2. If you are narrowing down your home choices, you’ll want to go to Floodsmart.gov and enter the addresses to discover the flood risk. It will tell you if the home is located in a low, moderate or high risk area and what flood insurance will typically run. 3. Pull up the actual FEMA map panel to view the area and your risk. You can do so at the FEMA portal on their website. Enter the address, then on the next page click “view map” (as pictured below) and it will take you to a map of the area. For giggles, I searched this area of Haysville/South Wichita, KS. The grayed out areas are those that are higher risk. Zoom in, zoom out, find major streets etc to locate the home. 3. Be prepared before you even look at a potential home. Did you know that Trulia.com is currently the only home sale search engine that offers floodplain overlay? Click hazards -> flooding to see the area in which you’re searching. The gray area is floodplain. 4. Most largely populated areas in the United States have what is called Geographical Informational Service. Check and see if there is a GIS service available in the area that you live/are looking to live. For example, Sedgwick county has a GIS map that not only includes flood planes, but soil conditions, property lines, school boundaries and more. A wealth of information at your fingertips, and for free. My favorite. 5. What happens if you absolutely love that home, and are willing to take the risk? In certain situations, you can save on flood insurance by having the home seller transfer their policy to you. This could save you money at closing, after closing and for years to come.